Are you looking for home window or door installation in Jackson, Mississippi? Heritage Windows and Doors can help you! We have been installing new windows and doors since 1993 around the Jackson MS area. We offer free estimates on all new window installations and can also help answer any questions you may have. Call us at (601) 368-8065 for a free estimate today! We know that buying new windows for your house can be a stressful task. At Heritage Windows and Doors we work directly with our customers to help answer any questions they may have. Questions such as “should I get wood windows?”, “what style of window will look best?”, “can I really afford new windows?”, or “Do I need to hire a window installation company?”. Our goal is to make your buying decisions as easy as possible and to show you how affordable new home windows can be. With over 25 years of experience we know a thing or two when it comes to picking the right windows for your home. Buying a new door, whether its your front door, patio door, sliding glass door, folding doors or even a movable glass wall system, we have you covered. With our expertise and craftsmanship, we will make sure your new windows and new doors not only look great but will last for many years to come. Buying new home windows can be an expensive project but there are different types, sizes and styles of window that can help with price. You should also know that new windows will help lower your utility bills, make your home more safe and secure and will actually increase the value of your property. What Types Of Home Windows Do We Offer? Most newer windows are double pane and are high energy efficient. Some locations in the USA actually require all new windows to be installed with certain efficiency levels. You may even qualify for a tax credit for Energy Star Qualified Windows, Doors and Skylights. 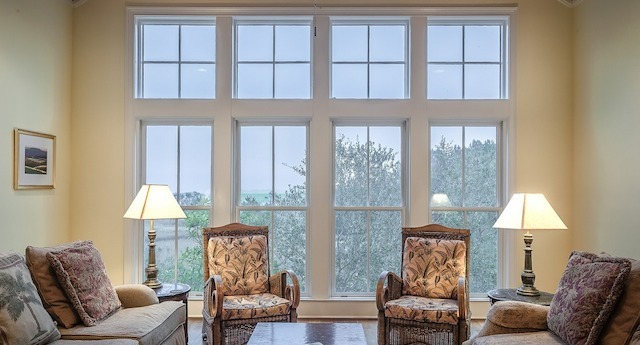 Wood windows are by far the most popular but also the most expensive to buy and maintain. The only wood window we recommend is a window that comes with a 20 year rot and termite resistance warranty. Cladded wood window are the best wooden windows on the market. It is a true wooden window but has a heavy extruded aluminum “cladding” that completely covers the exterior surfaces for low-maintenance durability. They also come in 5 or 6 standard colors with a baked-on finish that does not need to be repainted. Vinyl windows are the best window for the money. They are custom sized, have several color choices and many profiles and glass options. They are reasonably priced and some have a lifetime warranty that is also transferable to the new owner. PVC windows are also great windows. They too are priced economically and they look just like a wooden window. Aluminum windows are only recommended for commercial application.